Google’s new mobile devices will cost just over $100. At the beginning of the week, Google unveiled the first smartphone from its “Android One” initiative in India, a plan which is intended to increase sales in prime emerging markets by introducing mobile devices that have quality software and are low in cost. Google is aiming to provide mobile users in developing economies with online access in an affordable and reliable way. After launching its phones in India, by the end of the year, the company intends to expand Android One to the Philippines, Indonesia, and other countries in South Asia and will expand to even more countries in 2015. Google has teamed up with Acer Inc., Panasonic Corp. and HTC Corp. to develop more devices under its new platform. The company is aiming to better the software and hardware quality with Android One, to give handset manufacturers a framework. Android One will give Google greater control over its operating system in emerging markets. At present, India and other emerging markets have many cheap smartphones, which run diverse and, to some extent, customized versions of the Android OS. The trouble is that all of these different Android variations make the mobile devices subject to glitches and it makes it difficult for Google to have any control over its platform. With Android One, however, all of the software upgrades would come right from Google, which gains it more control over the operating system, providing users with service that is consistent. In India, there are a minimum of 80 smartphone brands. Analysts say that if Google wants to compete it is going to have to do more than release a low-cost device. 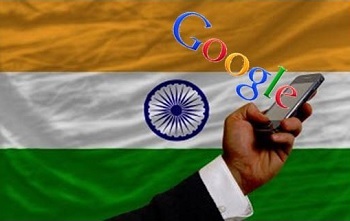 One of the ways Google intends to stand out from the competition is it is working on customizing web content, so it is better suited to a wider range of Indian consumers. Android One smartphones support seven Indian languages. In addition, Google is working on giving users the ability to watch YouTube videos without the internet, as accessing the web can be unreliable and expensive in the country.